Today, I’ve got some fabulous Christmas gift ideas for the creative person in your life who is either looking for something new to inspire her or, would like to welcome more creativity in their life. 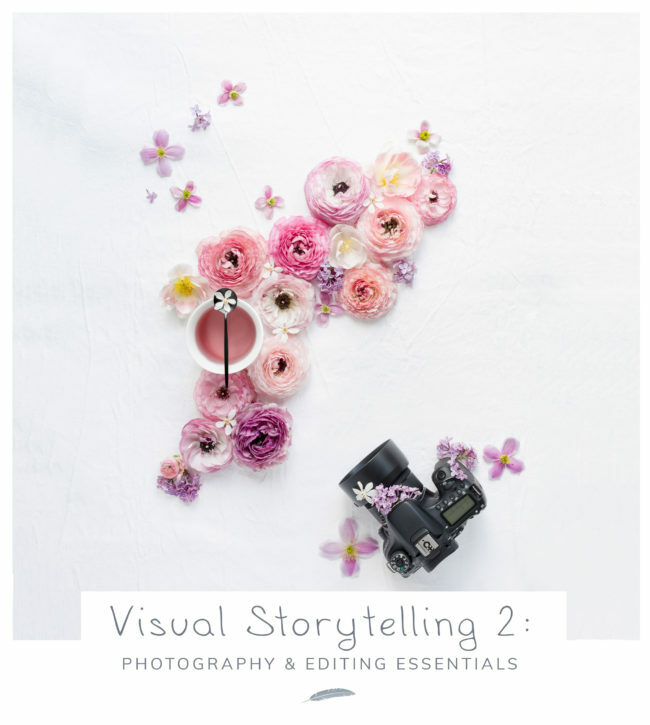 * Visual Storytelling 2 - Photography and editing essentials with Cristina Colli, artist, photographer, writer and teacher (and guest on my upcoming class The Art Of Contentment). Learn from Cristina on how to create ‘beautiful still life photographs that evoke emotions and tell a story’. It’s a comprehensive 6-week class and by the end of it you’ll know the various technical aspects of your camera, how to use Lightroom, information on flat-lays, backdrop, lighting and so much more. The class is open for registration with a limited time discount. Price: £125 (will increase to £150). * Your Journaling Journey with Sarah Raad (who is also a guest for my upcoming class, The Art Of Contentment) of Simple Happy Life has created a beautiful course which will open on 7th January 2019. It’s a ‘two week e-course with e-guide to help you to start using journaling as a creative, self discovery practice to bring more joy, understanding and meaning to your life’. You’ll have the chance to explore different types of journalling with Sarah, a beautiful downloadable journaling guide and a Simple Happy Life notebook with pencil sent through the post! Price: £29. * Sennelier - Soft Pastels - half stick set of 30 - plein air landscape - I love Sennelier products and have used them in all of my online classes. The quality is second to none and I also love their oil pastels. Jackson’s Art has a really good selection of their products (as well as many other fine art supplies). 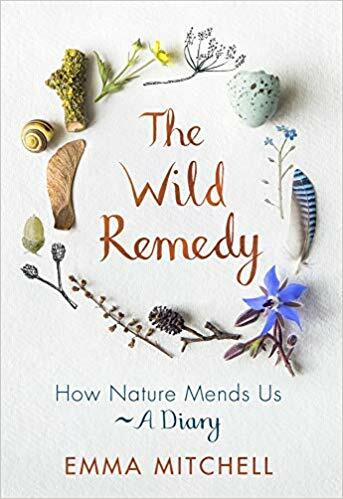 * The Wild Remedy - book by Emma Mitchell of Silverpebble. A beautiful book that comes on on 27th December - I know that is just past Christmas but it looks so inspiring that it’s on my list. Emma shares her ‘characteristic wit and frankness, and filled with her beautiful drawings, paintings and photography, this is a truly unique book for anyone who has ever felt drawn to nature and wondered about its influence over us’. 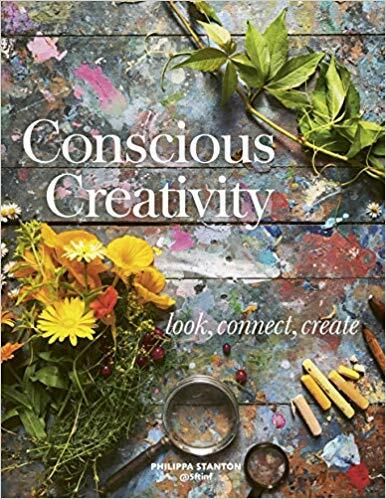 * Conscious Creativity; look, connect create book by the amazingly talented Phillipa Stanton. ‘Philippa Stanton is a professional artist and photographer with more than 20 years’ experience of creating and teaching art. She holds popular workshops and teaches courses online, while the inspirational qualities of her imagery have attracted more than 400,000 followers for her @5ftinf account on Instagram’. * Tate Modern’s online shop is ideal for any budding creative - they stock prints, bags, stocking fillers, books, homeware, tickets for exhibitions and other goodies. 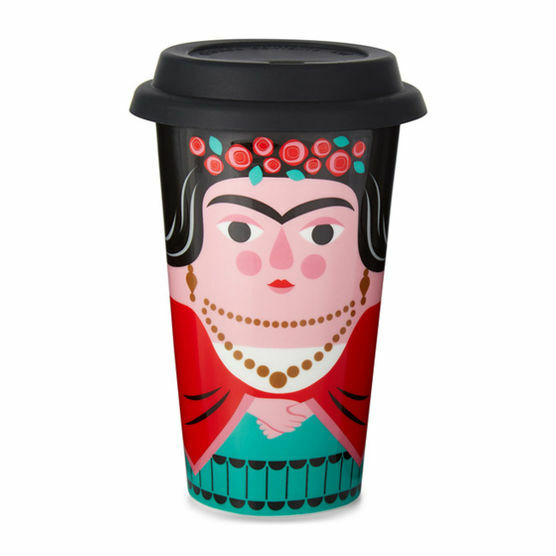 I particularly like the Frida travel mug below. Everyone loves a great art book, so today, I'd like to share three that I'd wholeheartedly recommend. Bold Expressive Mixed Media Painting: Painting Techniques for Still Lifes, Florals and Landscapes In Mixed Media by Annie O'Brien Gonzales. Lots of beautiful and colourful projects in this book which are set out in a clear and easy to read format. Annie includes lots of additional info including colour theory, 'Painting Notes' and 'Learning From Our [artist] Ancestors'. Various techniques and projects are included featuring collage, abstract, florals and landscape using acrylic, oil and mixed media. A great book for helping you create work that is personal, expressive and colourful - you'll love it! Pastel Innovations: 60+ Techniques and Exercises for Painting With Pastel by Dawn Emerson. Lots of interesting ideas in this book make it suitable for beginners or the seasoned artist alike. So much variety here and the opportunity to build on each task. This book goes through some 'basics' and then shares 20 exercises that help build confidence. There are also 40+ innovative techniques that are also shared. Lastly, a useful section on self critique. All in all, a great book for exploration and using pastels in exciting new ways! The Confident Creative by Cat Bennett. Cat beautifully shares her belief that we are all creative beings who can readily tap into a never-ending supply of inspiration that lives inside us. 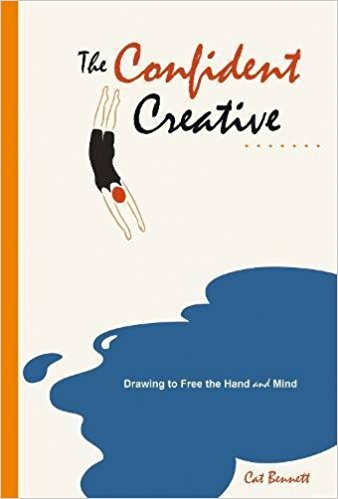 This book will help you relax whilst giving you 'permission' to create from a rich well of personal expression and experimentation - there are no mistakes. Included are various examples and illustrations that complement the book nicely. Overall, a very easy read that you'll want to pick up time and time again. A keeper! Please note, this post contains affiliate links should you purchase the book. I only include products on my site that I genuinely endorse.